A metric ruler is easy to use, as long as you know what the marks mean! 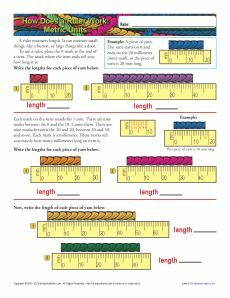 This worksheet takes your student through a variety of problems using colorful lengths of yarn. It's great practice for 2nd grade Common Core Standards for Measurement and Data. Other grades may also use it as appropriate.